Can tokamak fusion facilities, the most widely used devices for harvesting on Earth the fusion reactions that power the sun and stars, be developed more quickly to produce safe, clean, and virtually limitless energy for generating electricity? 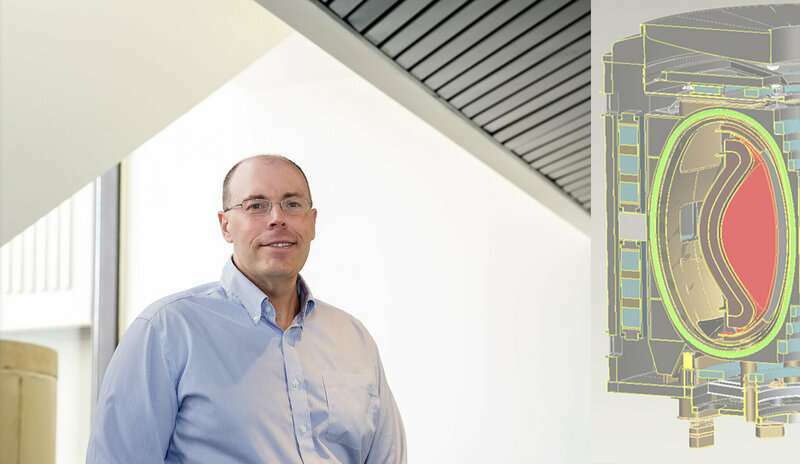 Physicist Jon Menard of the U.S. Department of Energy's (DOE) Princeton Plasma Physics Laboratory (PPPL) has examined that question in a detailed look at the concept of a compact tokamak equipped with high temperature superconducting (HTS) magnets. Such magnets can produce higher magnetic fields—necessary to produce and sustain fusion reactions—than would otherwise be possible in a compact facility. Such reactions fuse light elements in the form of plasma—the hot, charged state of matter composed of free electrons and atomic nuclei—to release energy. Scientists seek to replicate this process and essentially create a star on Earth to generate abundant electricity for homes, farms, and industries around the world. Fusion could last millions of years with little risk and without generating greenhouse gases. The bottom line, he said, is that the lower aspect ratio "is really worth investigating based on these results." The potential benefits of lower ratios, he noted, include the production of fusion power density—the crucial output of fusion power per volume of plasma—that exceeds the output for conventional aspect ratios. "Fusion needs to become more attractive," Menard said, "so it's important to assess the benefits of lower aspect ratios and what the tradeoffs are." Closed bottles like tokamaks are best used to store materials in plasma form, such as antimatter. Which is the real reason for the current efforts in tokamak/spheromak/stellarator megaprojects. In order to make enough antimatter to store, you pretty much need a well working fusion reactor to begin with - in fact you need many, large ones. Otherwise you don't have enough energy, cheaply enough to spare. How about aneutronic fusion instead? - e.g. pB11. Dr. Mernard's research looks solid. But Daniel L Jassby (retired from Princeton Plasma Physics Lab) articulates a number of challenges that any fusion reactor will face. As links appear to be forbidden in comments, read "Fusion Reactors Share Seven Drawbacks of Fission Reactors" in the American Physical Society Forum on Physics and Society. Attempting to control plasma in a fusion reactor is like squeezing a balloon and not expecting the part you squeeze to bulge. The Greatest Story Ever Sold. For 60+ yrs, politicians have been buying the BS dream of fusion energy sold by physicists, & have shown Nothing concrete in rtn. No attempt to implement Gerard O'Neill's far cheaper & more practical plan for Solar Power Satellites (1977), yet fusion continues to drink up money like a sponge & doesn't deliver at LLNL or in Europe, w/no end in sight. Oh, we'll get fusion. After all, there's that great big giant fusion reactor in the sky to tell us it can be done. Hard to get away from that. No, you need an accelerator similar to the LHC but larger. Future rings constructed southward will put antimatter production in the vicinity of ITER. Coincidence or ? Antimatter WILL be produced for propulsion at some point in the future. And the ONLY way to store it is in a closed magnetic bottle. 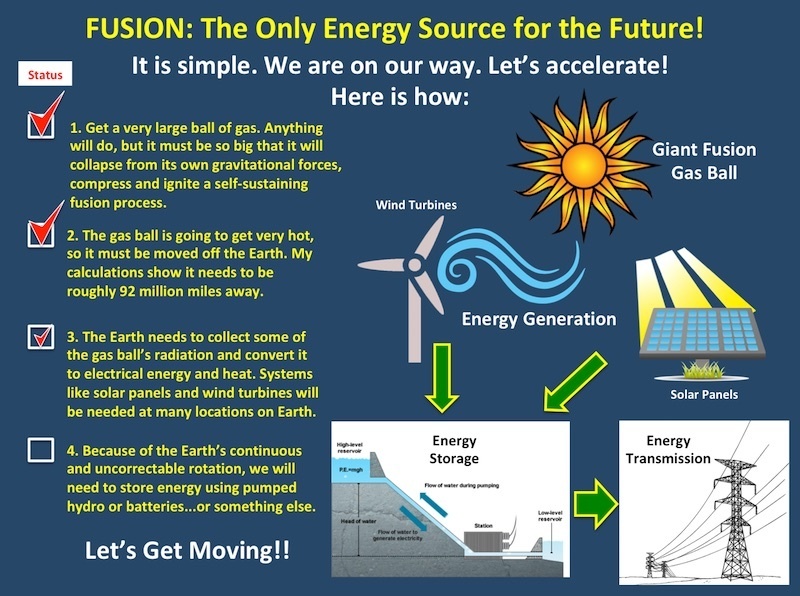 There are lots of ways to produce fusion energy. Closed bottles are not the best. Which leads one to speculate that these megaprojects have another, more important but less publicly-acceptable, purpose. Not only antimatter... lots of exotic materials will be created and stored in plasma form. These bottles are teaching us how to do that. "China intends to start developing space-based solar power satellites. The Chinese are building the first prototypes now. They plan to deploy small and medium models in the stratosphere between 2021 and 2025. A megawatt-level satellite would be launched in 2030." Fusion power is already here!! Before you all go crazy with excitement, perhaps you may think abut having unlimited power in the hands of a Duterte or Kim or Trump. Destruction of containment by radiation absent from this ongoing discussion. Would enjoy reading some comments. Is Solar Energy Actually Nuclear Fusion Energy From a Safe Distance? Think Again. "It's now also recognised by UNSCEAR that wind and solar energy are resulting in significant radiation exposure." 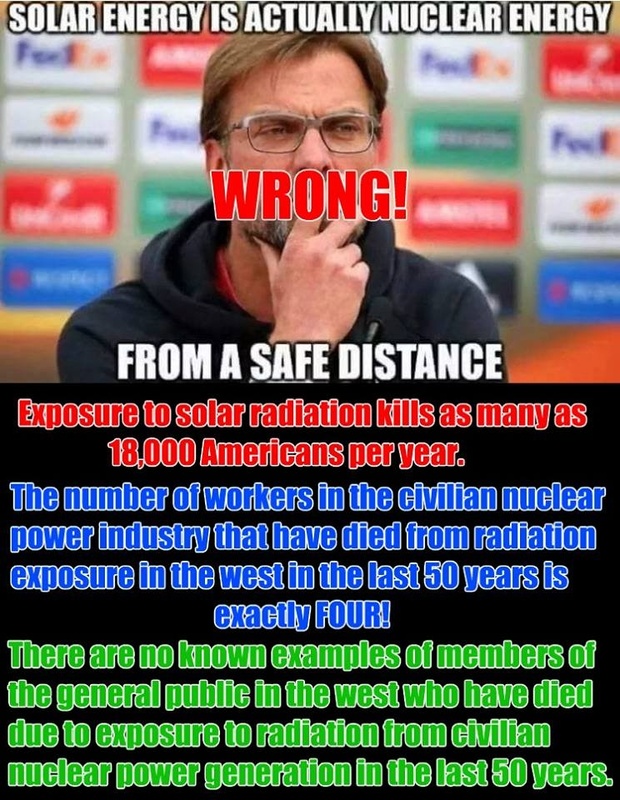 "The solar and wind fuel cycles emit considerably more radiation (mainly from mining rare earth metals) than the nuclear fuel cycle"
"Exposure to radiation kills more people working in the solar industry than in nuclear power." Centralization of power is important to oligarchy. Fundamental, inescapably so. This is why this sort of system is researched and funded. You can't control a population, or 'overlord' them, if they can get their energy anywhere and elsewhere. This has been key to all oligarchy that has ever existed since the dawn of human times. The lever must exist inherently and inescapably in the proposed technology, otherwise oligarchy will not allow it and will actively move against it, either openly or via other means. I hold these points to be obvious to anyone who has at least a few brain cells to throw at these problems/scenarios. fusion power is centralized power,and other forms of similar 'overunity' ( simplistic analysis, common parlance), are not allowed--- and some are violently suppressed. Logically, scientifically...if fusion is "real", then many of the ridiculed others ~MUST~ exist. Many of us.. being fairly innocent (mostly purposely) of the hidden side of human reality (it can be quite ugly), don't put any credence into the 'fringe' reports. But... if one has any open, logical capacity -at all... and can look at the near hundreds of billions spent on 'fusion' ....and can make more than one logical connection in one moment...then this scenario of alternatives to fusion being suppressed, this can be seen to be very real, as potentials go. All one has to do is go and make honest open minded searches and evaluations on the various proposed ways and technologies. All of those communities of researchers, some quite accredited..will tell you of this endless widespread persecution and suppression--- ad infinitum. Do you want to look behind when trying to drive, or be informed and look forward? The answers are found in the places and ways you are not looking. Always have been, always will. -or even worse, a genuine psychopath. Fusion is not overunity. I see youre ignorant because you fail to realize that this is the internet where you can look stuff up rather than making it up. Like you do with your buds down at the diner or the VFW. We do not need it, and cannot afford it, and it makes no sense to have centralized power where we are dependent on others who care nothing for us. If so, stop building huge solar/wind farms(land-intensive monstrosities backed by coal/oil/gas/fracking to compensate intermittencies). "Before proposing 100% RE for the world, FIRST try it at your house. Buy panels & loads of batteries and disconnect from the grid. Start a blog and let us know how it's going, particularly during the dead of winter. Thanks." 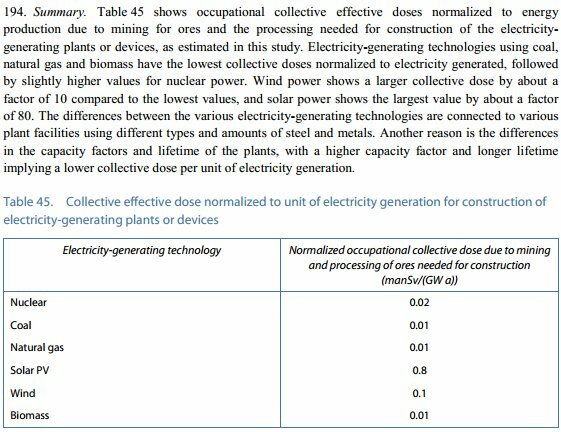 "It's no coincidence that the fastest decarbonization rates occurred in centralized, state-dominated energy systems and have prominently featured nuclear and hydroelectric power." So, why build it? Why not just extract power from the fusion power generator that is already up there in the sky? We are. It's called "solar power." Meanwhile, the power density is much higher if you're much closer. Simple easy stuff. Basic physics. Inverse square law. Destruction of containment by radiation absent from this ongoing discussion. Not from the article. Perhaps you should read it instead of just commenting on the headline. Meanwhile, my PV system quietly puts power into the electrical system, and not a single PhD in Physics in sight. Meanwhile, gskam has invented a system able of converting his lies into perpetual motion to produce electricity uninterruptedly(24/7/365) enough to power the whole world forever. Well, sunny Costa Rica is coopting the last of the native tribes lands to build the largest hydropower dam in Latin America. 1) the idea that control of centralized power is necessary for the establishment to maintain supremacy. 2) the idea that solar and wind are somehow deficient or less effective OR that the establishment is actively working against the small private firms. Your need for control does not extend to me or them. Fusion has become a religion, perhaps. Meanwhile, real power,cheap power, simple power, unattended power, is being produced by my silent PV system. No physicists required. No, you need an accelerator similar to the LHC but larger. And where do you get the electricity to run it? The LHC needs 200 Megawatts of power to run, and it produces a few atoms of antimatter at a time. You know the Avogadro constant? 6.022 x 10^23 - that's the number of atoms you need in one "mole" of matter, which in terms of mass is roughly one gram of anti-hydrogen. The production of antimatter by particle accelerator is highly inefficient, because only a tiny tiny portion of the collisions result in the production of the correct particles. In order to make enough anti-matter to have a point in storing it for some purpose, you will be consuming the average electric power output of the United States. NASA estimates the production costs for 1 gram of antimatter to exceed $6 trillion. However for only $600,000 you could fit a 10 millionth of a gram of antimatter into a snipers bullet. This one bullet would be equivalent to 378 grams of TNT, which is more powerful than a modern grenade. So the trick with storing large amounts of anti-matter is, if your containment field fails and the magnetic bottle breaks, you'll make a crater the size of France. Even if it was technically feasible, I doubt anyone would be stupid enough to construct such a thing. The team is called the ALPHA collaboration. The bottle is called a "trap" because that's what it does, it traps antimatter. The team can create thousands of antihydrogen atoms in only a second but the trap barely catches any. Different types of antimatter require different types of traps. Antihydrogen cannot be trapped using magnets as it doesn't have an electric charge. Anti-hydrogen is the easiest to make. You need much more energy to make heavier anti-elements. Tokamaks contain plasma. If it cools down to neutral atoms, the containment is lost. If you wanted to capture antihydrogen without it getting annihilated, then you would have to use something called a loffe trap. This amazing device creates a region of space where the magnetic field gets larger in all directions. The antihydrogen gets stuck in the area with the weakest magnetic field. Of course, because the loffe trap works on the point that anti-hydrogen is weakly diamagnetic, it cannot hold very much of it because the containment pressure is absolutely tiny. It catches a handful of atoms at extremely low temperatures - just enough to study them. If you took anti-hydrogen and heated in up to plasma, then you could store it in a tokamak, but then you'd be setting yourself with a time bomb because it needs continuous heating in order to stay in there. If you lose power, boom it goes. The idea of using the most reactive substance in the universe for storing energy is theoretically interesting, but practically moronic. It's in the same club with the idea of storing large amounts of electricity in superconducting electromagnets, where, if the superconductivity is lost the magnet wire will vaporize and explode instantly. Once again: "Meanwhile, real power,cheap power, simple power, unattended power, is being produced by my silent PV system. No physicists required." Solar PV has become a religion, undoubtedly. The proponents lie to themselves, believe in their own lies. "Seriously, people, we are dealing with a full blown religion when confronting solar panel / wind turbine zealots. No amount of facts will EVER convince them because for them this is an act of faith: RE will save us. Plus, the Pope is on their side." "The Green religion is anti intellectual and fundamentalist . It has a set of beliefs that cannot be questioned exposing their antiscientific antirational instincts." "The idea of 100% renewable energy has essentially become a religion whose central tenets and prophets cannot be questioned." "Religion is a culture of faith; science is a culture of doubt." 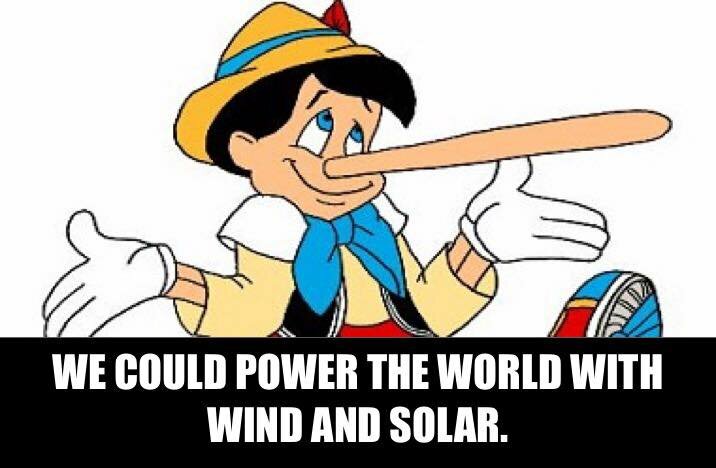 "REnewable is now a REligion, completely dishonest and divorced from reality." Get off it, Willie. My system is real, and you are just a billboard. Humanity will eventually (hopefully) venture into space. The further out we go the less useful solar panels become. I don't think you'll supply a Mars colony (or one on the icy moons of Saturn or Jupiter) on solar power. And when it comes to powering spacecraft drives you want a big power source that you can refuel wherever you go. There's also the issue that some places on Earth are 6 months in the (near)dark (or generaly night-time issues where solar doesn't work so hot). though to be fair, for that use case we could be in a race between fusion and getting a good storage for renewables up and running. Some industries are also very power hungry (e.g. in the future saltwater desalination will be a big industry). They could use a power source like fusion that is not in danger of poisoning the basis for their product. Man , is THIS a stupid analogy. OF COURSE it won't bulge where you are squeezing! Very nice researching. And you're right, major new power sources would be needed for the process. If you were to ask some engr back at the beginning of ww2 if there would ever be enough excess power to run a machine like the LHC, what do you think they would say? -Almost as dumb as the idea of propelling a spacecraft with a series of nuclear explosions. The future is not for the timid little eikka. The quench problem goes away with room temp superconductors. But regular transformers explode all the time, no? Perhaps you prefer a more benign form of transportation?